Each year, the American Society for Microbiology (ASM) hosts the Agar Art competition, a collision of art and science in which entries are as much grown as painted. 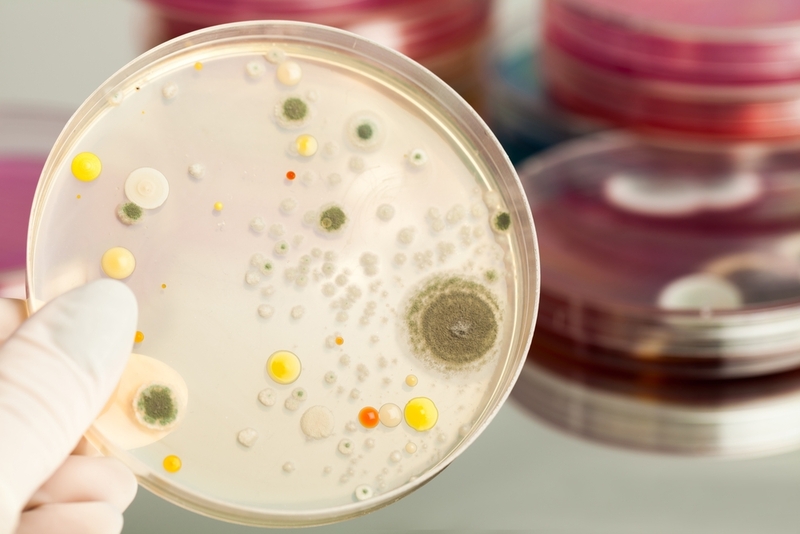 Microbial cultures are painted into agar growth medium and then incubated. In growing, they reveal colors and textures that can only partially be controlled or predicted, adding a level of complexity to the competition. Most entries to the competition are contributed by laboratories. These aren’t your high school experiments in randomly found bacteria swabbed off of drinking fountains and doorknobs. The 2015 winning entry, Neurons by Berkman Lab and artist Maria Penil, was painted using yellow Nesterenkonia, orange Deinococcus and peach Sphingomonas cultures, along with a few white blobs of other opportunistic microbes. Perhaps the most impressive contribution was a massive collection of petri dishes cultured with specifically engineered fluorescent bacteria to illustrate a multicolored map of New York City. Genspace, New York City’s Community Biolab, who contributed that entry was a collaboration of more than 50 scientists and citizens, and they called their work The NYC Biome Map. “NYC is a melting pot of cultures — both human and microbial — and every citizen has a personalized microbiome,” Genspace said in its submission. Another entry worth of particular note is Harvest Time, by Maria Eugenia Inda. Inda engineered a species of yeast specifically so she could modify its growth into a palette of reds and yellows. Saccharomyces cerevisiae, the yeast she used, is a component of breads, wines, and beer, and has been for eons. So her painting, a white farmhouse in a field of wheat, called out to that.